Michael Anton is the man who today best communicates the fractures among the Right. He identifies, and exemplifies, growing incompatibilities among conservatives, both on the issues of the day and in beliefs about desirable political structures. Anton first came to public notice under a pseudonym, Publius Decius Mus, writing in 2016 during the brief life of a pro-Trump blog, the Journal of American Greatness. 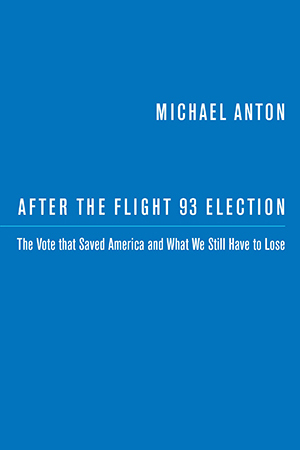 In September of that year, Anton published a famous essay, “The Flight 93 Election.” His first point was that, like the passengers of Flight 93, Americans opposed to the permanent boot-stamping dominance of the Left had an existential choice. They could, as it were, charge the cockpit by taking a chance on Trump. Or they could passively accept Hillary, and face certain political death. His second point was that their behavior when faced with this choice showed that the conservative movement, as it exists now, was wholly worthless. These claims were, no surprise, controversial. Last year, the giant gaming company Electronic Arts released the latest version of an extremely popular military game, Battlefield V. Each release in the series takes place in a different time period; this one recreates World War II. 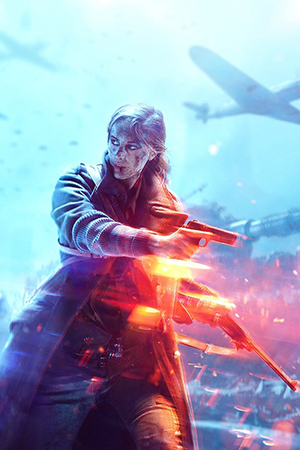 Such games are very popular; successful titles can take in considerably more than $1 billion for their makers, and the budget for creating Battlefield V was around $250 million. So this is big business: as big as, or bigger than, Hollywood. But all mega-corporations today kowtow first of all to their real masters, the social justice warriors of the Left, not to their owners, and that, in the context of computer gaming, is what we are here to explore today. 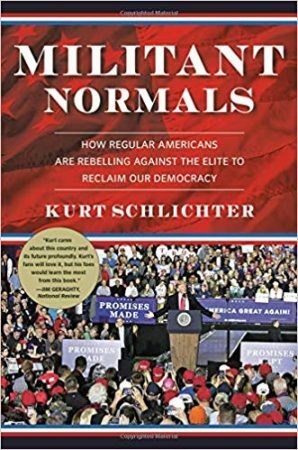 Militant Normals is an enjoyable read, a rollicking journey with the acid tongue of Kurt Schlichter as our tour leader. It is full of facts that are impossible to dispute, because they are facts. 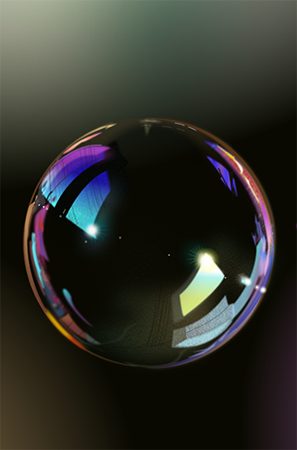 It draws difficult-to-argue conclusions, including that our near future is likely grim. That said, I think Schlichter’s elite/normal framework misses important nuances and is a bit too glib. But even so, the well-deserved spanking Schlichter gives the Left is worth the price of admission. 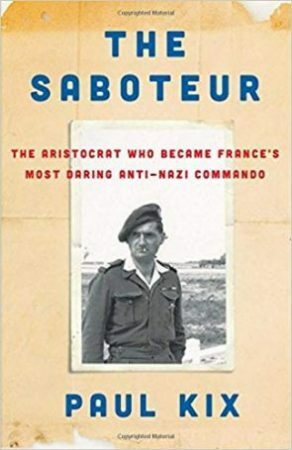 This is the story of a man—Robert de La Rouchefoucauld, scion of one of the oldest noble families in France, who lived from 1923 to 2012. He led a life in full; the focus of this book is his three years fighting against the Germans in France, as a résistant. It is a tale of bravery and derring-do, and it is gripping. But even more, it is terribly sad, because reading about this past makes us realize how masculinity and duty as exemplified by La Rouchefoucauld are no longer celebrated, but rather denigrated, to the detriment of all of us. This may be the worst well-written book I have ever read. That is, most awful books are bad in their writing, bad in their organization, bad in their reasoning, and bad in their typesetting. 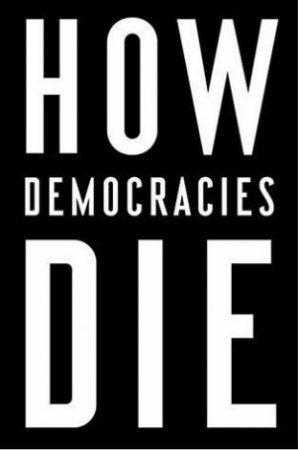 No such badness is evident here—How Democracies Die hits all the points it intends to, and reads crisply and smoothly. But it is ruined by a meta-problem: its utter cluelessness and total lack of self-reference. The authors, Steven Levitsky and Daniel Ziblatt, are very much like the Ken Doll in the Toy Story movies—vain, preening, and, most of all, utterly unable to realize, not that the joke is on them, but that they themselves are the joke. 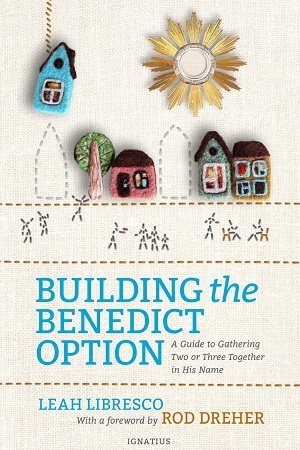 A disability afflicts nearly all conservative arguments today. Rather than being a robust picture of vigor and health, as they should given their firm ground in reality and the fantasies that underlie their opponents’ cancerous and bankrupt ideologies, conservative arguments present themselves at the door like starving beggars clad in rags. This is bad, but even worse is the source of this weakness, for it is not imposed from the outside, but voluntarily, by conservatives choosing to cut themselves off at the knees. How? By crippling their arguments through larding them with preemptive apologies. Of late, I have repeatedly claimed that the Left’s core goal is to achieve a utopia where all people have complete equality combined with wholly unfettered liberty. This has occasioned numerous queries (especially when one book review was linked on Reddit), asking, in effect, whether this is not internally contradictory. That is, if liberty is unlimited, is it not the case that inequality, rather than equality, is the inevitable result, so that it is false that the Left simultaneously pursues both goals? Among the many gaping holes in American historical knowledge is any grasp of the French Revolution (and that includes my own knowledge). As an abstract matter, this is unfortunate, but nothing notable, given that the historical knowledge of modern Americans is essentially one large gap. 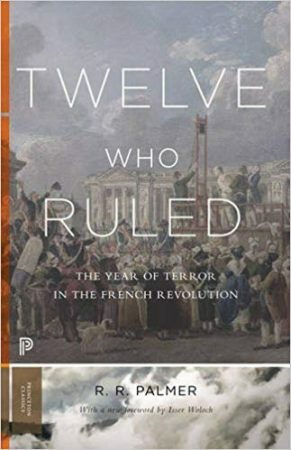 As a concrete matter, though, it is a real problem, because in our own troubled times, the French Revolution offers critical, universal lessons, which we forget to our peril. Nowhere is this more true than with respect to the Terror, the rule of the twelve-man Committee of Public Safety, from 1793-94, the subject of this classic 1941 work.